8 Salmon released at Top Pool today – exciting days at Flowers River! New group arrived today – great action on day 1! 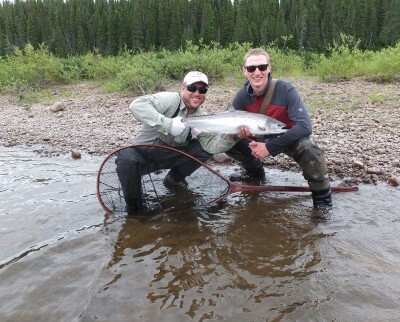 Incredible fishing reported at the Upper Flowers River! Copyright 2019 Flowers River Lodge. All Rights Reserved.